Lock in a great price for Strandhotel Preussenhof – rated 8.3 by recent guests! 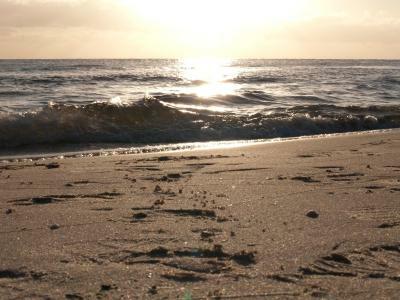 Location - right next to the beach, but you have to pay extra because of beach cleanliness. Hmm? 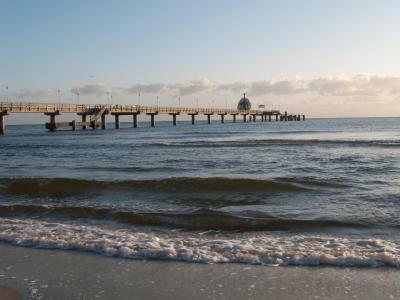 Great place to stay right on the promenade and beach. We also used the complimentary spa fascilities at the hotel-pool,sauna-which was also excellent. Breakfast was superb. Die äußerst nette Begrüßung und die besondere Freundlichkeit aller Mitarbeiter an der Reception hat dazu beigetragen, dass ich mich sehr wohl gefühlt habe. Ich war überrascht, nach einem herrlichem Frühstück, bereits mein Zimmer und das Bad fertig und sauber vorzufinden. Ein Lob an ein schnelles Zimmersercice-Team! Frühstück war super. Unser Appartment war sauber und mit allem ausgestattet was man brauchte.Wir waren zum 2 mal hier und würden auch immer wieder kommen. Sehr gutes Frühstück. Super Blick vom Balkon auf das Meer obwohl das Zimmer auf der Landseite gelegen ist. Sehr freundliches Personal. 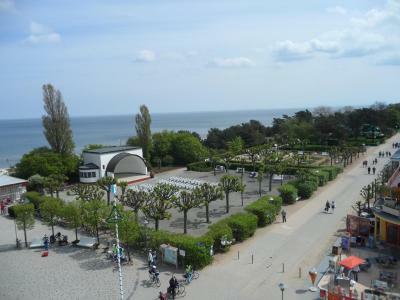 Der Blick aus dem Fenster (Meerseite). Das Frühstück war vielfältig und qualitativ sehr gut. Das Zimmer und das Bad waren groß. Der Spa- und Fitness-Bereich war relativ klein, aber gut und vielseitig. Die Lage direkt an der Seebrücke ist genial. Das Hotel profitiert noch dezent vom Flair des kaiserlichen Preußen. Sehr nettes Personal und ein sehr gutes Frühstück. Die Lage des Hotels direkt an der Seebrücke ist ebenfalls sehr gut. Der Wellnessbereich ist durchaus zu empfehlen und war jeden Tag sehr sauber. Strandhotel Preussenhof This rating is a reflection of how the property compares to the industry standard when it comes to price, facilities and services available. It's based on a self-evaluation by the property. Use this rating to help choose your stay! 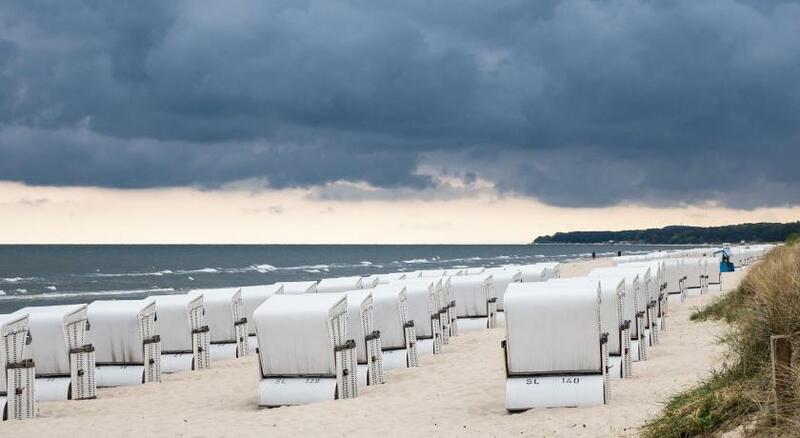 One of our top picks in Zinnowitz.A few steps from the beach and peer in Zinnowitz, this spa hotel on the island of Usedom offers a 1920s-style restaurant and a free shuttle service from Seebar Zinnowitz Train Station. 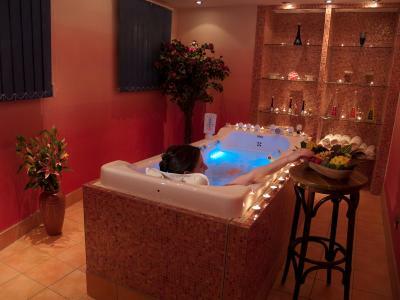 Guests can relax in the Preussenhof's 2625 ft² spa. This features a gym and different saunas. Guests can also relax in various quiet zones. Massages and beauty treatments can also be booked. When would you like to stay at Strandhotel Preussenhof? A warmly decorated room, featuring a TV and a private bathroom with a hairdryer. These rooms are located in the main building or the annex. A warmly decorated room with views of the spa promenade or sea. The room features a balcony, a TV, mini-bar and private bathroom with a hairdryer. 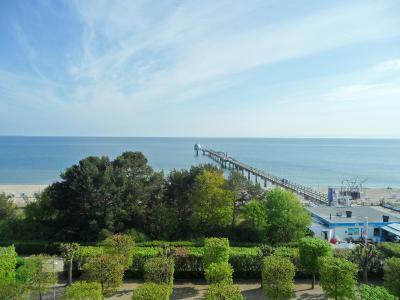 Spacious 2-room apartment with a balcony and views of the spa promenade or sea. It includes a bedroom and a separate living room with a sofa bed and TV. A warmly decorated room featuring a TV, mini-bar and private bathroom with a hairdryer. Seaside-facing, spacious apartment featuring a living room with a sofa bed and flat-screen TV, 2 separate connecting bedrooms, bathroom with a bath and shower and a balcony. 1) New Year's Eve Gala in the ballroom of Strandhotel Preussenhof including a welcome drink (sparkling wine), a gala buffet as well as midnight buffet and live music. 2) New Year's Eve at the Museumscafe Restaurant at Strandhotel Preussenhof in a refined atmosphere including a welcome drink (sparkling wine), and a 6-course dinner. This suite features a panoramic sea view of the beach and of the promenade. It comes includes a balcony, a living room and a separate bedroom. Spacious 2-room apartment with a balcony facing South/towards the countryside. It includes a bedroom and a separate living room with a sofa bed and TV. These units are located in the main building or the annex. House Rules Strandhotel Preussenhof takes special requests – add in the next step! Strandhotel Preussenhof accepts these cards and reserves the right to temporarily hold an amount prior to arrival. Please note that the accommodations is located in the main building and in annexes. 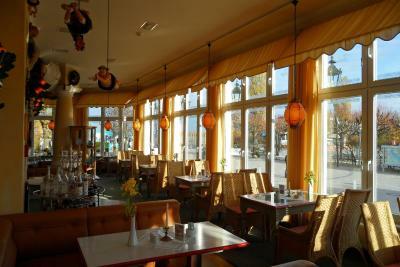 The restaurants are all located in the main building. 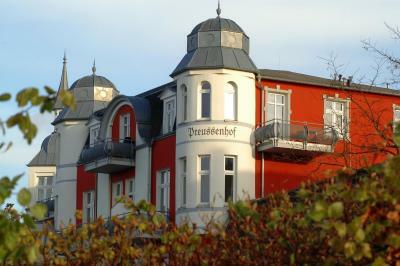 The spa facilities are located in the Prinz von Preussen building. The surcharge for bringing a pet is EUR 15 per pet per night. Please note that pets are not permitted in the restaurant for breakfast. Found shards of broken glass on the beach - a very dangerous situation for those of with bare feet. And I had to pay an extra "tourist" fee (in cash!) for the beach cleanliness crew. They didn't do a very good job of cleaning. The parking situation isn't clear and very limited - one must park on the street some blocks away. The room was nice enough, but had fresh paint and the fumes were rather strong so I needed to leave the window open for fresh air - thus I had to listen to all of the festival noise. I'm sure is a lovely hotel some other time of year. Its not really don't like but some knowledge oh the german language is usefull as this is a predominantly german holiday destination. Not many brits so its good if you can speak some of the language.